Beauty and the Beast was written in 1740. Imagine the many versions of the story that have passed through the following centuries. And yet, one sentence carries its essence down through time: a handsome young prince imprisoned in the body of a beast can be freed only by true love. What a premise to hand to future authors about the power of love in all kinds of circumstances. The wonder of the new Walt Disney Pictures movie springs from new technology that allowed creative animators to wrap the story in full time magic. Add to this a set of performances that are subtle and irresistible. Belle (Emma Watson) and the Beast ((Dan Stevens) spend much of the movie in the enchanted castle where all the beautiful objects – candelabra, cups, and furniture that surround them – are imprisoned in those forms while waiting for their salvation to arrive when at last the Beast is loved. Belle is absorbed in ensuring the safety of her beloved father Maurice (Kevin Kline). His time is divided between their home village and the enchanted castle. Hers is spent unloading Gaston (Luke Evans), the arrogant, aggressive village suitor. Today’s techies enable the castle itself to cast a beautiful spell by imaginative use of their new tools. The settings are magical. So what could go wrong? Casting? Not one mediocre performance. 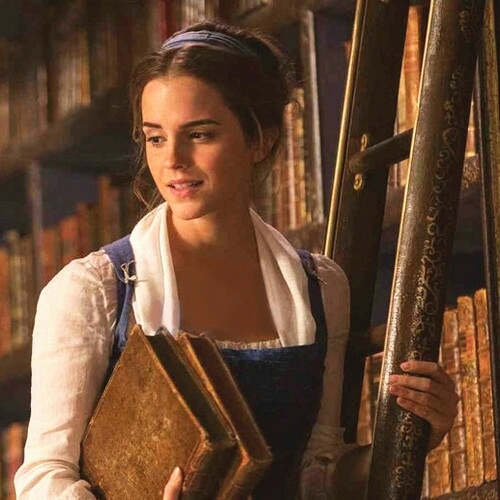 Emma Watson’s Belle is never silly or vulnerable in any situation. She has grown from Harry Potter fame into a composed, subtle actor who has an inner antenna about the danger of overacting. She makes falling in love with the Beast a gradual, believable happening. As her dad, Kevin Kline is also grand. He’s brave and loving with the vulnerability that comes with age and any audience understands instinctively why his protective daughter loves him so much. As the Beast, Dan Stevens manages – despite his hideous horns – to convey his inside self gradually as he falls in love with Belle. When love releases him, we see only a few moments of him as a human being. Probably, I think, so the audience won’t think of him as less than magical. The director was wise just to plant him in our imagination. In this case, the dream is better than reality. Quality is guaranteed by the presence – actually or in voice – of Ian McKellen, Emma Thompson, Audra McDonald, and Stanley Tucci. For all of you who no longer watch fairy tales, borrow a child for the afternoon from family, friends, or neighbors or go with a pal. Age doesn’t matter. Give thanks to Walt Disney Studios for releasing a good one in the spring and ignoring the practice of holding their best until Oscar season. Beauty and the Beast is the rule breaking exception that will win hearts and endure. It is also one moment when technology and humanity meld in the best of ways – an old fashioned story in modern day dress. Have fun. This review was posted on April 15, 2017, in Family-Kids, Fantasy, Musical. Bookmark the permalink.